The Nysmith SmashBots team competed in the VEX IQ Robotics Challenge over the President’s Day Weekend. 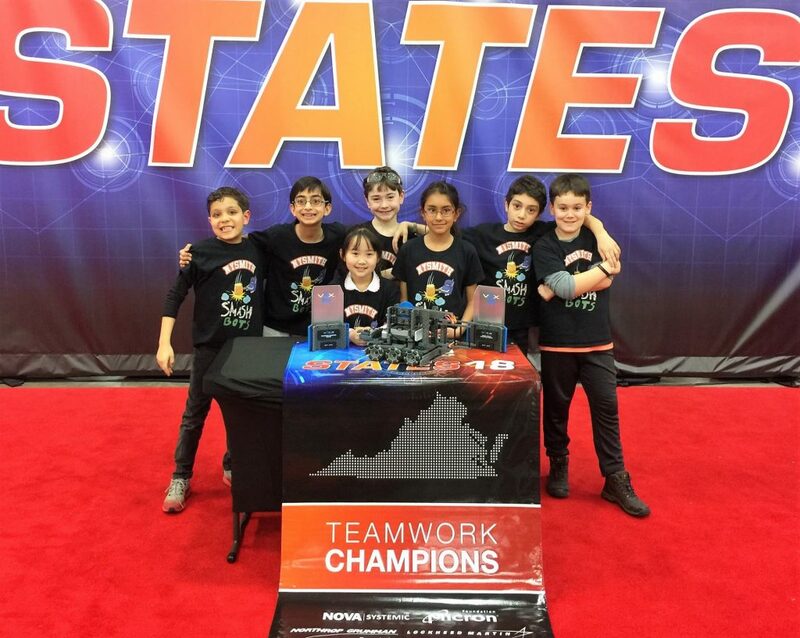 Congratulations to the following third graders who won 1st place in both the Robot Skills and Teamwork categories: Arjun, Dario, Helena, Kevin, Nathaniel, Sia and Sina! The team also had a chance to present their STEM research project for the First Lady of Virginia– Mrs. Northam! She was very impressed with their research project as well as the students’ outreach project to sponsor a Robotics Club at Joseph Van Pelt Elementary School! As state champions, the SmashBots team qualifies for the World VEX IQ Championship in Louisville, Kentucky in the spring! Presently, our team has the 10th highest robot skills in the world! Way to go students!